In previous editions of Puzzles in Pop Culture, I’ve examined the influence of puzzles in episodes of The West Wing, The Simpsons, M*A*S*H, and various versions of Sherlock Holmes. 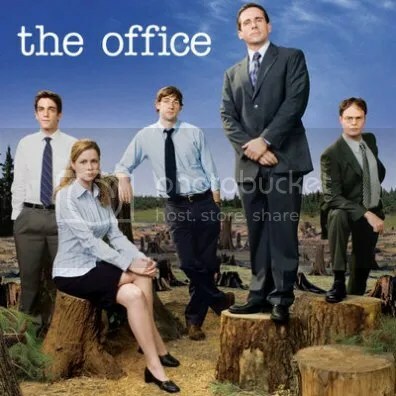 And when I was talking with David Rogers last month, I was reminded of another TV show where puzzles played their part in storytelling on occasion: The Office. 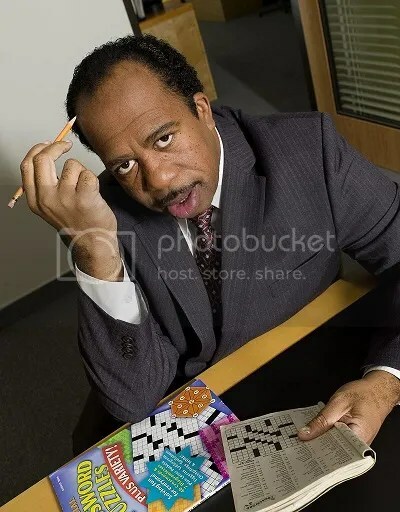 There have been few fictional puzzle solvers in recent years as widely known as Stanley Hudson, the irascible, curmudgeonly, perpetually near-retirement salesman in the Scranton branch of Dunder-Mifflin. 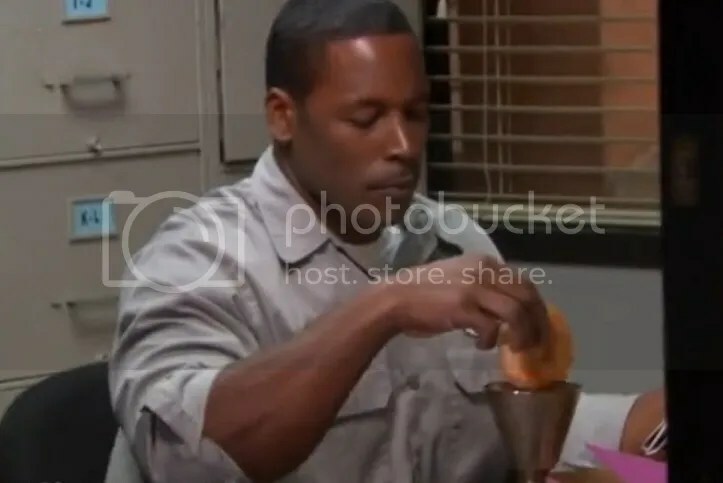 In fact, Stanley’s tendency to prefer his puzzles to actually working became the centerpiece of season 4 episode “Did I Stutter?”, where manager Michael Scott tries to figure out how to deal with Stanley’s insubordination. 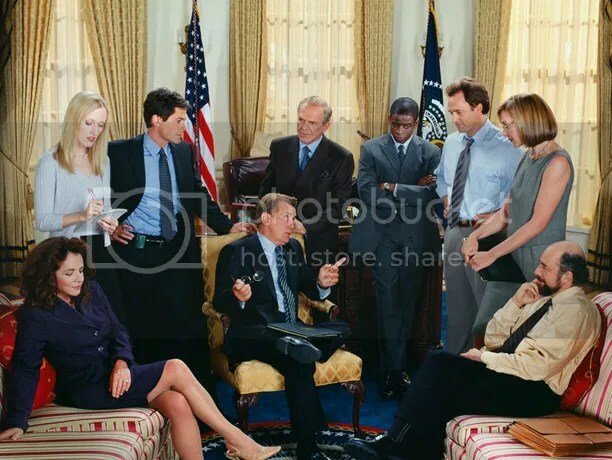 In this instance, the puzzles were a key plot point, representing Stanley’s desire to do anything but participate in yet another Scranton office meeting. 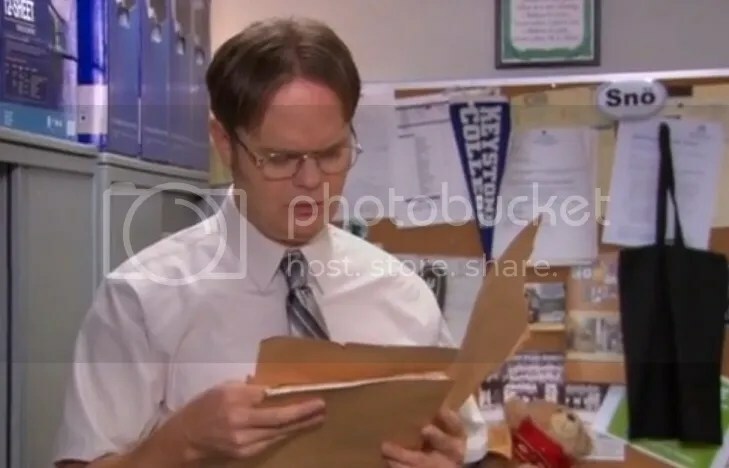 In the pre-credits sequence (known in television terms as the “cold open”), salesman Dwight discovers an old file with a letter inside from Dunder-Mifflin company co-founder Robert Mifflin. Former secretary Pam overhears this, and calls her husband Jim, who is in Philadelphia, asking if he’d ever concocted a prank that would send Dwight on a wild goose chase for the Holy Grail. 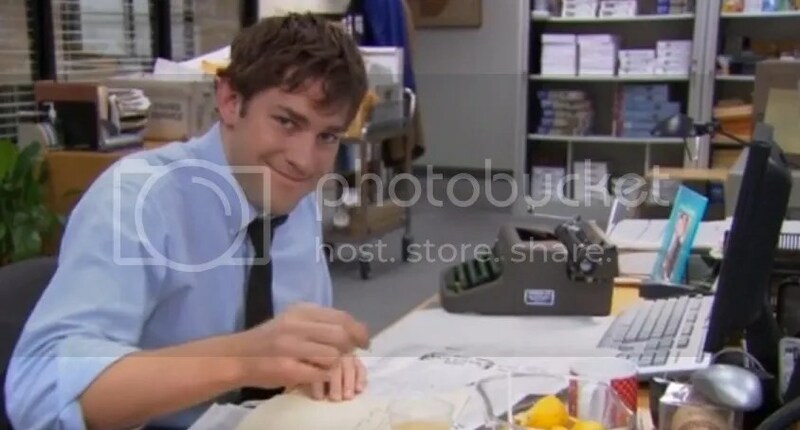 Jim realizes that Dwight has finally stumbled upon The Dunder Code, an elaborate prank Jim set up years ago. Dwight, unaware that it’s a prank, sets off on his quest to find the Grail. Puzzle fans (and fellow office drones) are invited to solve clues alongside Dwight as he uncovers an invisible ink message leading him to the ceiling above accounting. A crafty cameraman, however, discovers the Grail’s final resting place. In one episode, puzzles provided the ideal spark for a character showdown, while in another, they served as the perfect bit of levity to open the episode, spoofing The Da Vinci Code and once again showing how easily Jim can manipulate Dwight (and other officemates) into abject silliness. But in both cases, puzzles contributed to great moments in a classic sitcom’s history. A very worthy legacy indeed. 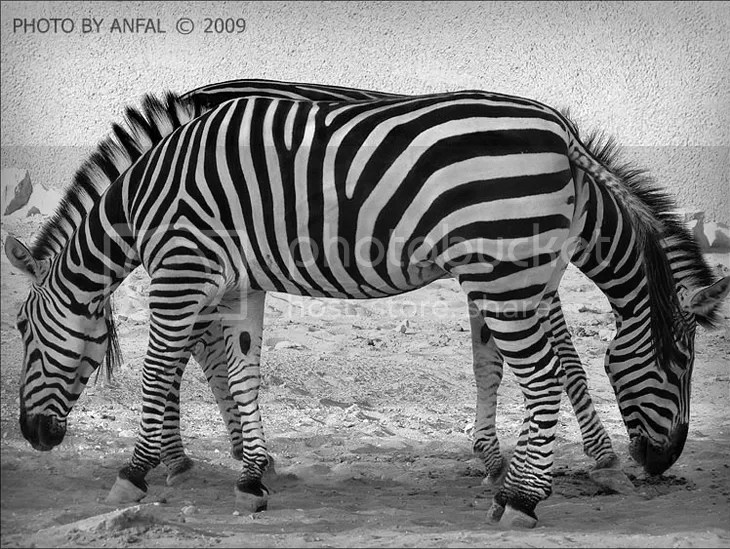 Today’s blog post marks my one-hundredth post for the PuzzleNation blog. With the one-hundredth anniversary of the Crossword a few months away, I’m proud to add my own little PuzzleNation milestone to the long, proud history of puzzles. The 100th episode is always a big one for a show, and since they nearly always happen in the fifth season of a show, they’ve had time to plan something special. Weddings, showdowns, big doin’s. How I Met Your Mother staged a big musical moment, The Office had the Dunder-Mifflin picnic (and Pam’s pregnancy announcement), and Buffy the Vampire Slayer had Buffy dying (again). But my one-hundredth post isn’t the only milestone to celebrate. We’re closing in on the blog’s two-hundredth post overall in a few weeks! And speaking of puzzles (as I often do), I have to include a pair of clue-centric posts featuring terrifically clever and funny clues (some of which were deemed too tongue-in-cheek for solvers). This one goes back to last year, but it still makes me laugh. It’s my puzzle resume, detailing all the puzzly experiences that led me to PuzzleNation. In the same spirit, we have this post about how solving puzzles is actually excellent training for the aspiring James Bond-style spies among us. And no list of favorite posts would be complete without this lovely bit of puzzle romance. Last, and certainly not least, I present an introduction to the Diggin’ Words dogs, our friendly anagram-loving pooches. 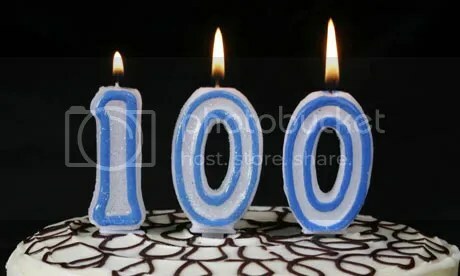 Thank you, puzzlers, for your enthusiasm and support over these last 100 posts. I’m looking forward to celebrating many similar milestones with you in the future.